Dubai: Dubai Islamic Bank (DIB) on Wednesday reported Dh5 billion net profits, up 11 per cent compared to Dh4.5 billion in 2017. In response to the strong performance, DIB’s board of directors recommended the distribution of a cash dividend of 35 per cent. Total income for 2018 increase by 15 per cent to Dh11.73 billion compared to Dh10.19 billion recorded in 2017 while the net operating revenue grew to Dh8.2 billion, up 7 per cent compared to Dh7.68 billion for 2017. “Focus on profitability remains the core driver in our growth agenda, clearly evidenced by the strong net profit margin (NPM) of 3.14 per cent, which remains at the higher end of the market,” said Dubai Islamic Bank Group Chief Executive Officer, Dr. Adnan Chilwan. DIB’s total assets stood at Dh223.7 billion at the end of 2018, up by 7.9 per cent, versus Dh207.3 billion at the end of 2017. Net financing and sukuk investments rose to Dh175.9 billion up by 11.8 per cent compared to Dh157.4 billion at the end of 2017. Customer deposits were up by 5.8 per cent to reach to Dh155.7 billion at the year-end 2018 from Dh147.2 billion in end of 2017. Current and savings account deposits rose to Dh54 billion as of full year 2018 despite a rising interest rate environment. “Sharia-compliant banking is on the rise in markets around the world, and DIB, being among the top two Sharia-compliant banks in the world, is playing a key role here. We will continue our progress in spreading the popularity of Islamic banking,” said Mohammad Ebrahim Al Shaibani, Director-General of The Ruler’s Court of Dubai and Chairman of Dubai Islamic Bank. During the year, the bank managed to bring down operating expenses to Dh2.32 billion compared to Dh2.33 billion for 2017. Net operating income before impairment charges grew by 10 per cent year on year to Dh5.88 billion. Cost to income ratio for the year ended 2018 is at 28.3 per cent compared to 30.4 per cent at the end of 2017. “Our ability to innovate around the dynamic market conditions gives us confidence that we will continue to outperform and take market share which has now moved to double digits at around 10 per cent,” Dr Chilwan said. On asset quality front, the bank continued to maintain a steady non-performing financing (NPF, the equivalent of NPL in conventional banking) ratio at 3.4 per cent in 2018 while the provision coverage ratio was at 112 per cent. Overall coverage, including collateral at discounted value, stood at 150 per cent at year-end 2018. DIB’s liquidity and funding remained stable for the year with financing to deposit ratio at 93 per cent as at year end 2018. The bank continued to maintain strong capitalisation providing adequate cushion for growth. Capital adequacy ratio is at 17.5 per cent and the common equity tier 1 (CET 1) ratio is at 12.4 per cent. “The year saw us active in the capital markets as well. Early in 2018, we successfully priced $1 billion sukuk issued with a five-year tenor that reopened the regional financial institutions and corporate debt capital markets. 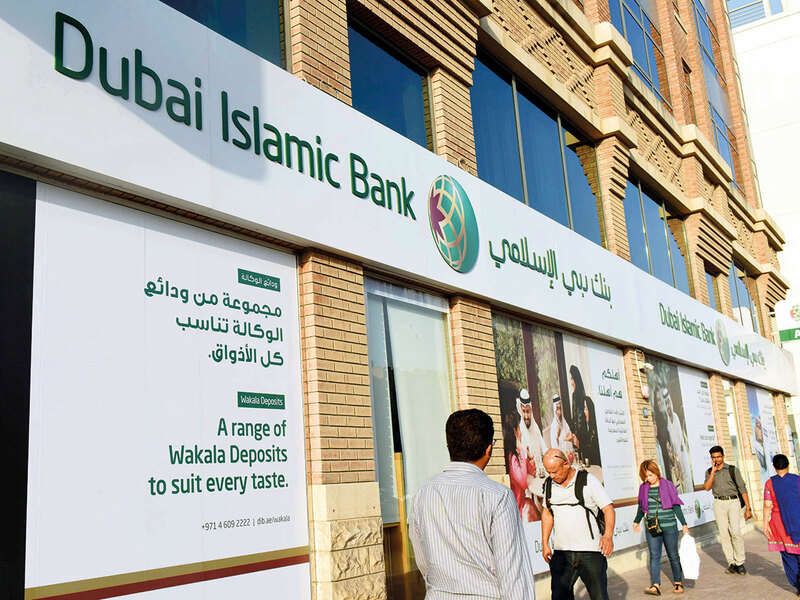 Around the 2nd quarter, the rights issuance by the bank, which was aimed to boost the CET1, was massively oversubscribed generating nearly three times the required subscription,” said DIB Managing Director, Abdullah Al Hamli.